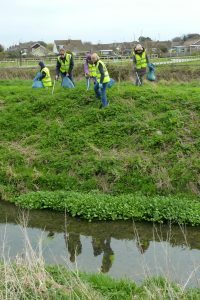 Ferring Conservation Group’s annual clean-up of the banks of the Rife took place on Saturday 23rd March. 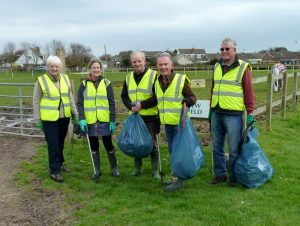 Around twenty five members, including two keen junior members, met in the Bluebird Café car park and as in previous years once the usual litter pickers, hi-vis jackets and black bags had been issued the group formed two teams with each team working in parallel along the east and west banks. Owing to the exceptionally early warm weather this year, the nettles along the banks had already grown making it more of a challenge to spot litter in the foliage but this didn’t pose a problem for Eoin Kearns, the youngest member of the Group, as his keen eyes found many items and he soon completely filled his sack. 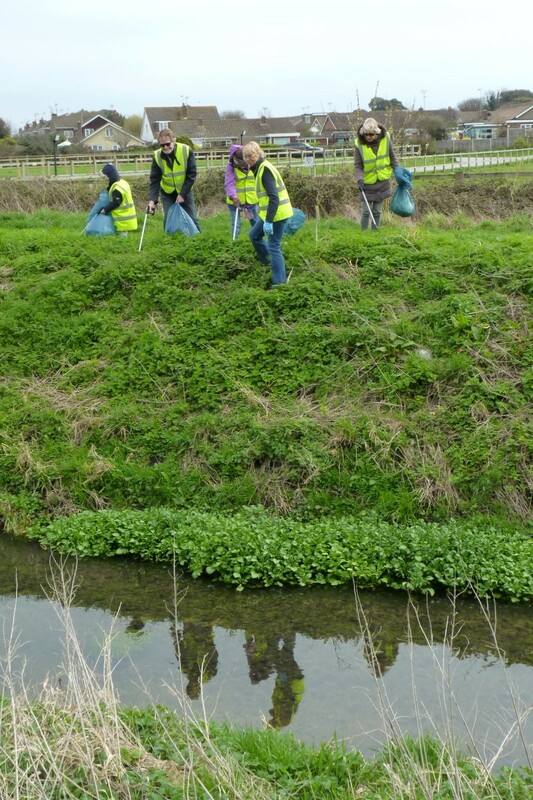 Around twenty bags of litter were collected in all, with the majority of items found on the east bank in the bushes and down the footpaths. Along with the usual types of litter a child’s cushion and a pair of shorts (probably discarded by a playful fox) were collected and signs of spring were seen along the way including a Small Tortoiseshell butterfly and a Bumblebee. 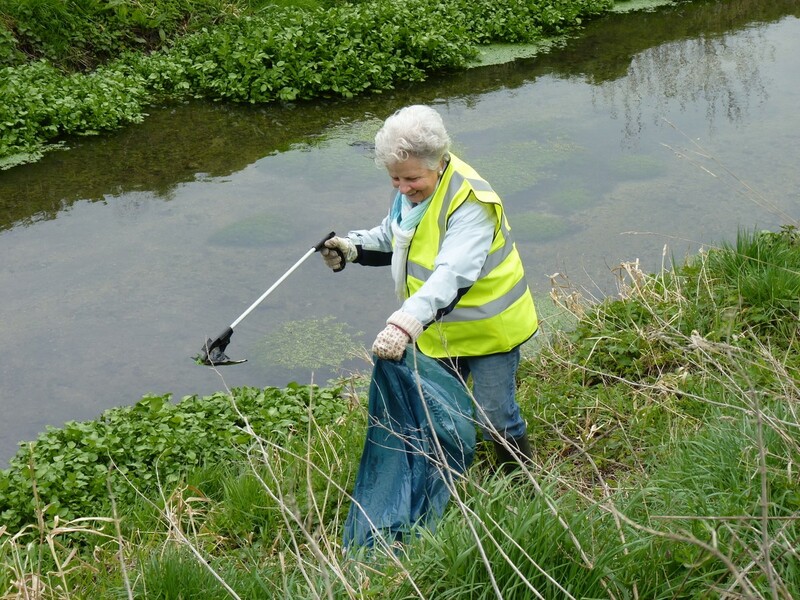 The Rife in Ferring is a haven for wildlife including Little Egrets, Moorhens and Water Voles, also many wildflowers can be found along the banks making this area an important wildlife sanctuary. 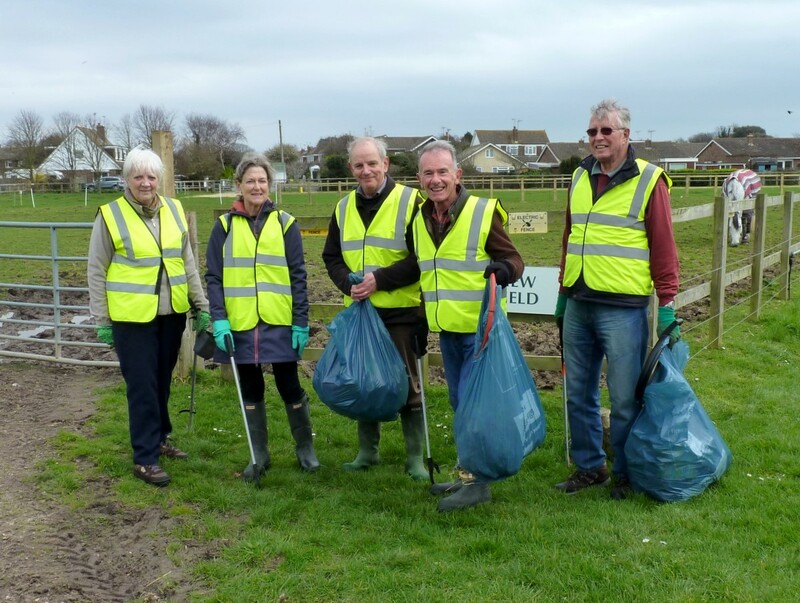 Therefore it is important that all visitors respect this and take their litter home with them or place it in the bins provided in the Bluebird Café car park or at Ferring Country Centre. This entry was posted in News by Jane Hayman. Bookmark the permalink.